Walken in Short: There is so much great Walken in this movie that there is barely any room for the almond-eyed extra-terrestrials. He talks to himself, acts goofy, and still screams a lot and cries. He plays a complex character that is both stubborn and full of whimsey. His relationship to his wife, and to his son, are explored in detail, and it is that terrifically textured aspect of the story that keeps me coming back to rewatch it, way more than any old ALIENS do. Movie in a Sentence: Whitley (Walken) is an eccentric New York writer living a happy life with his wife (Lindsay Crouse) and young son (Joel Carlson) until they realize that blocked-memories from traumatic meetings with extra-terrestrials are bubbling to the surface, and perhaps a psychiatrist (Frances Sternhagen) can help them deal with it. Writer: Whitley Strieber wrote both the book and the screenplay. The story is allegedly autobiographical. MPAA Rating: ‘R’ – Though 90% of this film will bore a small child, there is about 10% of it that is pure nightmare-fodder. Creepycreepy stuff, so consider yourself warned. 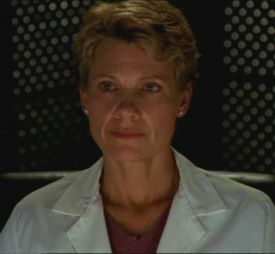 Lindsay Crouse -I remember her as the curious shrink from the Mamet film HOUSE OF GAMES, a really cool flick about con-men. Just now, I found out that she was actually married to Mamet at the time. In this film she plays Walken’s wife. She’s rooted in the logical, and is almost offended that Walken expects her to believe that he believes in aliens. She’s stern, but also loving, a hard line to toe, but she does it well. Allegedly, the director allowed Walken to pick who he wanted to play his wife. Walken chose Crouse, and got his way. 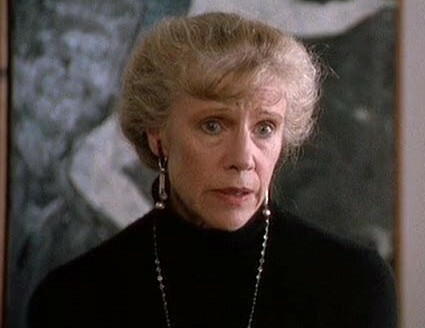 Frances Sternhagen – In this she is the psychiatrist attempting to get to the bottom of the mystery, but you may remember her as Cliff Claven’s mother on the TV show CHEERS. Andreas Katsulas – He plays a friend of theirs who spends the night at their cabin in the woods, and is quite upset about what happens. In the movie version of THE FUGITIVE he played “the one-armed man”. Available to Own: VHS and DVD, no blu-ray yet. 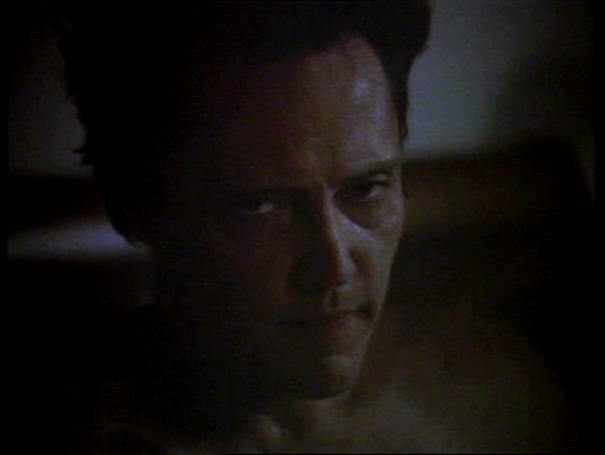 Walken Content: 85% – He’s all over this. Lots of lines, and many aspects to his character. Plenty of Walken here. Should You Watch This? Yes. This is necessary Walken. Great lines, interesting character. It’s also really cool to see him as a husband and also as a father. 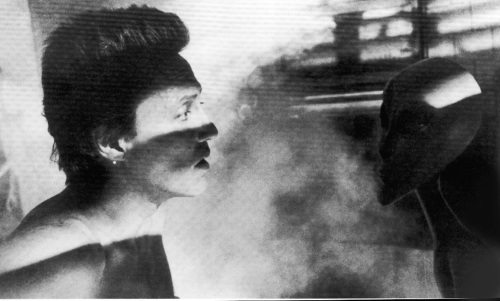 The chemistry is great between all three of them, especially between Walken and the boy. So playful and supportive, it was a delight to watch. And then there is the alien side to it. And that stuff is alright, there are moments where it’s scary, but mostly it’s more of an exciting kind of vibe, like ‘ooh, now THIS is happening! What?! That’s crazy!’ The special effects are all practical and done in-camera (no CGI), so that’s really cool. And it’s interesting to note that the now-classic image of an alien (a big white smooth face and black almond-shaped eyes) really only flourished after this film. I have issues with the ending, but I’ll keep those to myself. There are so many reasons to watch this, that the flaws just aren’t that important. Walken is zany in this, wearing a wolf mask for no reason, cowboy boots and no pants. Upside-down glasses in another scene. When clowning around, he speaks in several accents: Yiddish and Transylvanian. He’s angry, he’s flirting, he’s scared, he’s a great dad, he gets probed, he sees a nightmare-version of himself as a magician, he dances, he fires a shotgun. And so, so much more. Enjoy. 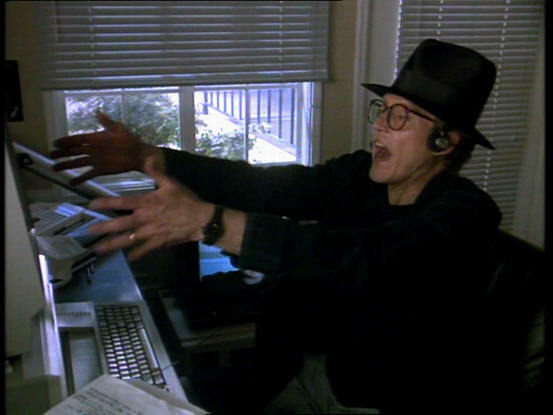 This entry was posted on March 25, 2013 by Something Something (todd) and tagged alien abduction, drama, father, Frances Sternhagen, lead, Lindsay Crouse, necessary Walken, Philippe Mora, Walken, Walken Film Review, Whitley Strieber, writer.